45mm x 605mm Rocker Roller Spring is load sharing suspension for boat trailers to 2600kg. An ideal replacement spring for boat trailers and car carriers that use this suspension setup. 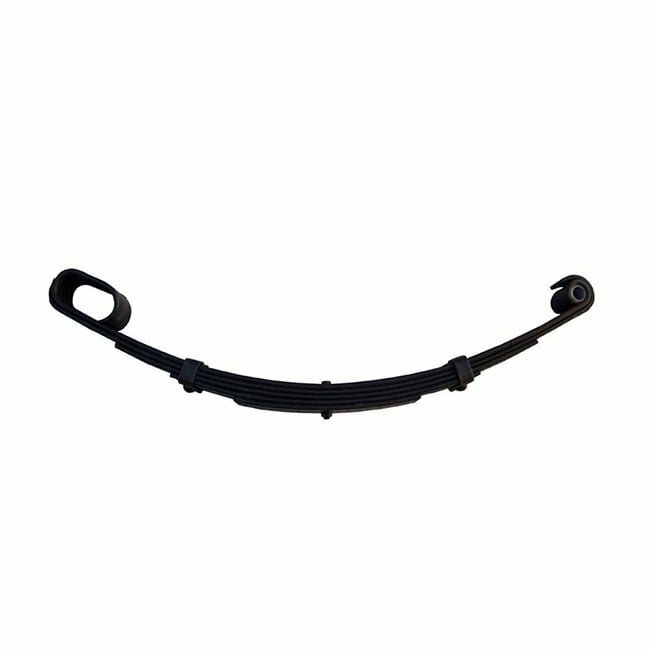 Rocker springs are superior to shackle springs because they provide a better ride. The suspension should be pre-assembled to the centre hanger then full stretched and clamped in preparation for welding. After installation the suspension will find its own level once your load is established. The metal roller sits in the centre of the roller sleeve when installing correctly. All new and replacement suspension and spring require u bolt adjustments, Incorrect u bolt re-tightening procedures can have disastrous consequences.